Copyright infringement is a violation of the DMCA , Stevens Student Code of Conduct, and the Stevens Information Technology Acceptable Use Policy. United States copyright law "protects the original works of authorship fixed in any tangible medium of expression, from which they can be perceived, reproduced, or otherwise communicated, either directly or with the aid of a machine or device" . The Student Code of Conduct specifically prohibits "violation of copyright or proprietary material restrictions connected with the university’s computer systems, programs or material." This page has been created to educate our users on DMCA and Copyright policy at Stevens, and assist those who have received DMCA Takedown Notices, Subpoenas, or Early Settlement Letters. Misuse of P2P programs for illegal distribution of copyright material. Peer-to-Peer (P2P) file sharing is the use of a P2P application that shares files with other users across the internet, e.g. BitTorrent, Kazaa, Bearshare, Morphus, Gnutella, and Limewire. The process of file sharing to download files, as well as to make them available for others to upload, can be a source of illegal distribution of copyright protected material, which may result in civil and criminal penalties. Misuse of Cyberlocker services for illegal distribution of copyright material. Cyberlockers similar to RapidShare, Hotfile, Mediafire, Megaupload, and Google and Yahoo storage are online services that allow users to store and share files through a web link (URL) with others. The act of providing a link to others to access copyrighted material from a cyberlocker account is considered illegal distribution of copyright protected material, which may result in civil and criminal penalties. 1. Using network logging utilities, Information Technology will identify the user who was allocated the listed IP address at the time specified in the DMCA notice and will then send an email to the identified user, with the notice appended. If, as a legal matter, you believe you have permission or a license to use the copyrighted material in question, or qualify for another exception under Federal Law which would enable you to distribute or use this material (such a reliance on a “fair use” defense to an allegation of infringement), please provide detailed supporting information to Stevens’ Division of Information Technology, which will evaluate the information and consider sending a legal counter-notice to the copyright owner under the DMCA. Access will not be restored until the Dean of Student Life notifies Information Technology that the issue has been resolved and access should be restored. Repeat complaints against an individual user/IP Address will result in automatic suspension of access to the campus network, and referral to the Dean of Student Life. These notices do not have to be sent in any particular order, and are not all required. For example, a representing agency could choose to send an Early Settlement Letter as the first notice to be communicated to the alleged infringer, which could then be followed by a subpoena. A Takedown Notice could also be sent separately. A preservation request is initiated by organizations representing copyright holders. These requests are usually sent to the ISP, such as Stevens, demanding that the alleged infringer's contact information be preserved in response to a future subpoena. The notice will typically request that the alleged infringer preserve any evidence that might reside on the computer identified in the preservation request. The preservation request, similar to the Takedown Notice, contains the IP address that was reported in the violation and the timestamp, including time, date, and time zone. Information Technology uses this information to determine what individual maybe responsible for the allaged infringement. The agency representing the copyright holder may give the alleged infringer an opportunity to settle the matter outside of a courtroom. The representing agency sends ISPs, such as Stevens, an "Early Settlement Letter" with a request that it be forwarded to the user associated with the IP address involved in the alleged copyright infringement. The letter informs the alleged infringer of a possible lawsuit, and presents them with the opportunity to settle the claim in order to avoid having to resolve the claim in court. This letter may include a link to a settlement website where a reduced fine can be paid with a credit card. In addition, the letter may inform the alleged infringer that they are prohibited from deleting information or programs related to the copyright infringement, as they are considered evidence and must be preserved. In the interest of providing students with notice of potential legal claims and an opportunity to settle such claims, it is the practice of Stevens to forward Early Settlement Letters to the alleged infringer. 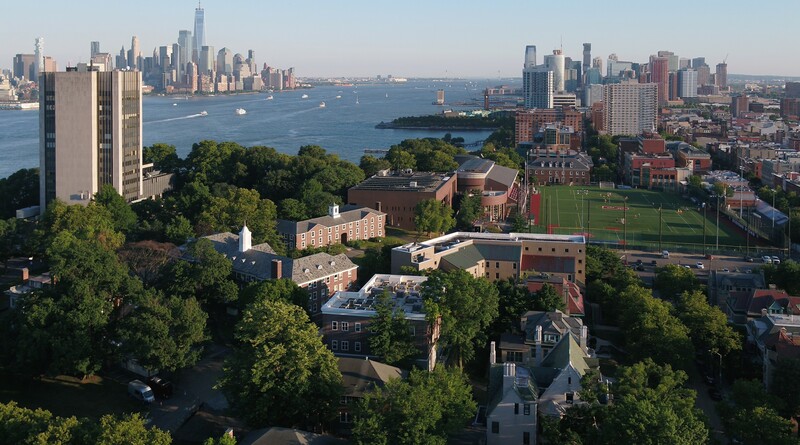 Stevens Institute of Technology does not disclose names, contact information or any other personally identifiable information to the copyright holder in response to Early Settlement Letters. An individual may choose to respond to the Early Settlement Letter or they may seek the advice of a private attorney. Subpoenas received by Stevens from copyright holders or their representatives generally request the identity of the user of a particular IP address who allegedly used the University's network to unlawfully distribute copyrighted material. A subpoena could be served without sending a DMCA notice, or a preservation request, to the alleged infringer. Subpoenas generally allow for a reasonable period of time within which the recipient is required to respond. Stevens will inform the alleged infringer of any receipt of a subpoena for copyright violations prior to providing any information to the party that served the subpoena. In order to afford the alleged infringer(s) the opportunity to challenge the subpoena through the court system, the University will withhold its response until the expiration of the reasonable time specified in the subpoena. Unless the subpoena is successfully challenged, Stevens will be compelled to provide the information requested in the subpoena. If, as a legal matter, you believe you have permission or a license to use the copyrighted material in question, or qualify for another exception under Federal Law which would enable you to distribute or use this material (such a reliance on a “fair use” defense to an allegation of infringement), please provide detailed supporting information to Stevens’ Office of Information Technology who will evaluate the information and consider sending a legal counter-notice to the copyright owner under the DMCA. Suspension from the University network as described under Processing of a DMCA Notice. Disciplinary action taken by the Dean of Student Life. For students with multiple alleged violations, network access may be suspended for a minimum of 15 days, and will require the alleged infringer to meet with a Student Life representative and complete an educational sanction. Network access will only be restored when the Dean of Student Life notifies Information Technology that the issue is resolved. Willful copyright infringement can also result in criminal penalties, including imprisonment of up to five years and fines of up to $250,000 per offense. For more information, please see the website of the U.S. Copyright Office at www.copyright.gov, especially their FAQs at www.copyright.gov/help/faq. For a comprehensive list of legal alternatives for obtaining digital content, please visit Educause.